The tortoise bag is so good. Love this collection of baubles, they’re all gorgeous! Oh goodness these are stunning! Thanks for introducing me! 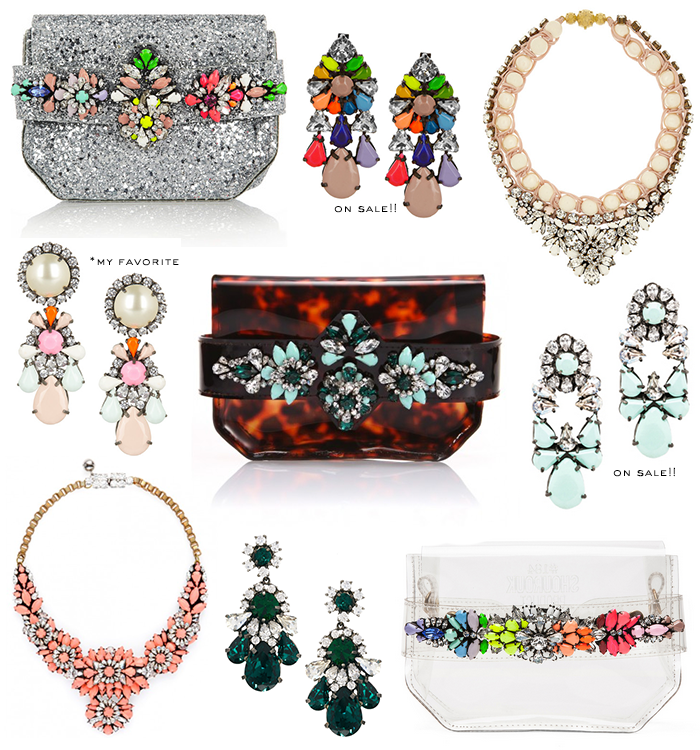 The clutch are freaking amazing and those emeral earrings….too good. Oh the glitzy goodness, such a beautiful collection! Your blog is amazing! Such good picks! Thanks for stopping by mine, Merritt! I am LOVING those Mia earrings. So pretty!! I love the apolonia necklace! Ohhhh! These are all so pretty! Umm.. OBSESSED! With all of it! LOVE love love! Oh my goodness! Such pretty pieces! !